Independent maintenance consultancy CP Automation has teamed up with German electro-technology specialist, Elektrotechnishe Anlagen to provide UK sales for RevCon - a new product for returning to the grid the energy produced when a motor slows down. CP Automation expects RevCon to take the elevation industry by storm; because the motors driving elevators are required to brake constantly as the lift slows down and stops. 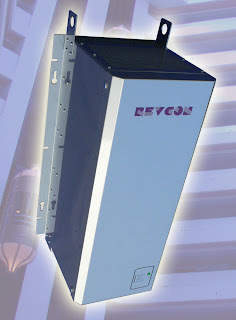 RevCon will work with any AC drive and is much more cost efficient than using two inverters to achieve the same effect. Furthermore, the product features a harmonic filter as part of the package, which ensures that the electricity returned to the network is fit for purpose and G5/4 compliant. A CP Automation spokesmen explained that there a several prestigious elevation projects in the UK that are already planning to install the product. As well as acting as sales agent, CP Automation also offers advice on the overall project as well as repair and maintenance on motors, inverters, resistors and other peripheral products such as encoders. The company also provides replacement equipment when repair is impractical or not possible. In these instances, CP Automation’s independence comes to the fore – allowing it to stock a range of products from all the major motor and inverter manufacturers. Indeed, replacement inverters, encoders and motors are normally installed in a matter of days.